Today I got a short message from David Hobby, a.k.a. 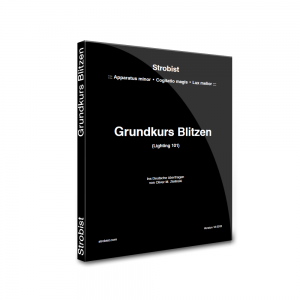 The Strobist, that he has made my German translation of his famous e-book “Lighting 101” available via his website. During the last few weeks I did the translation, editing and layout with my editorial service GermanoMedia. This book is the renowned beginners guide for photo enthusiasts who want to learn lighting techniques, that drastically improve the quality of their speedlight photography. It all starts with a basic kit and some light modifying accessories, followed by many different lighting styles. At the end of this 63 page manual the students are able to analyze any light and rebuild it with speedlight and available light sources.